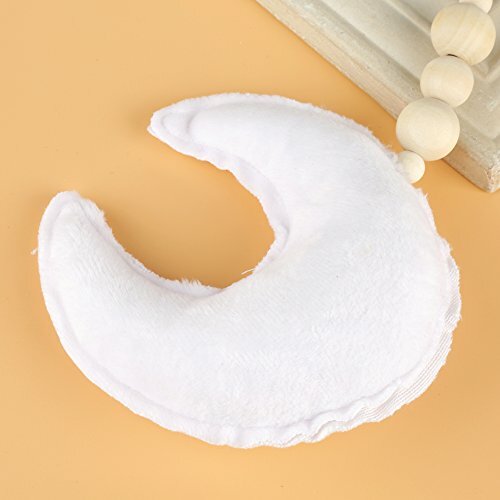 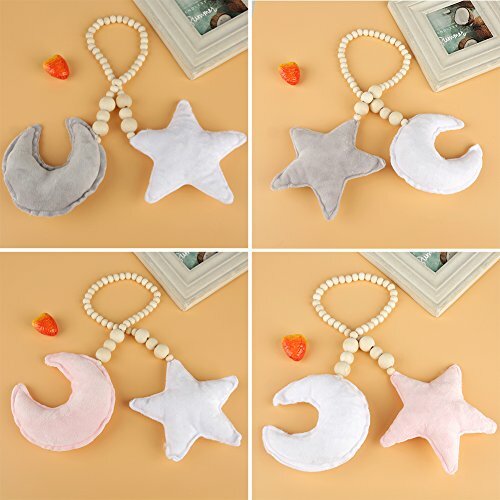 ★Exquisite wall decoration - decorate your kids/baby bedroom, living room, nursery, wedding, party, coffee shop, and anywhere you want to decorate. 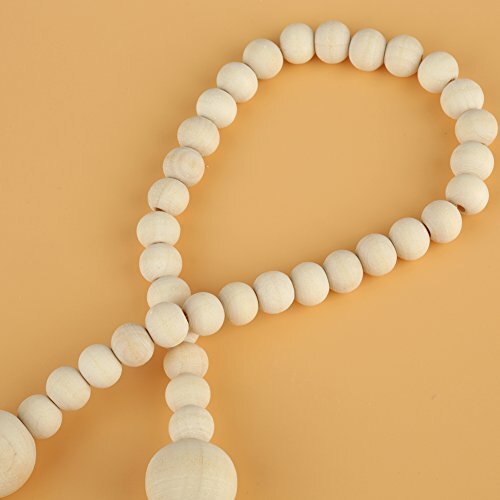 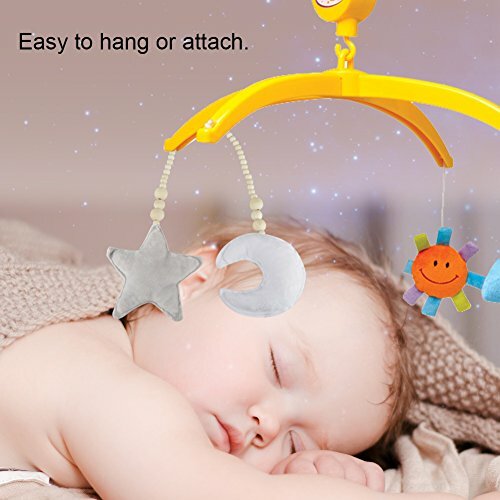 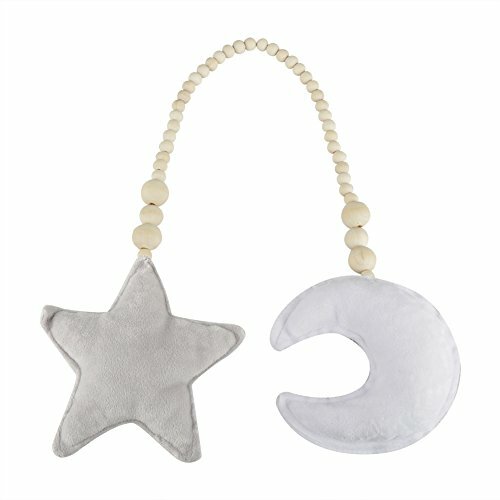 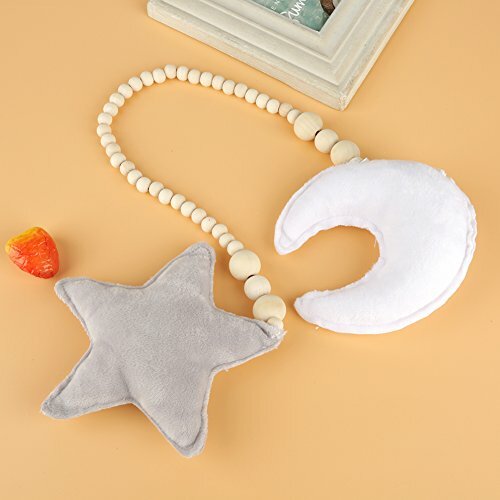 ★Wide usage: The toddler cradle star toy needs to be taken down carefully, it is super cute and you can use it again and again as bed hanging pendants, it also can be valuable sensory toy or photo props for your little ones. 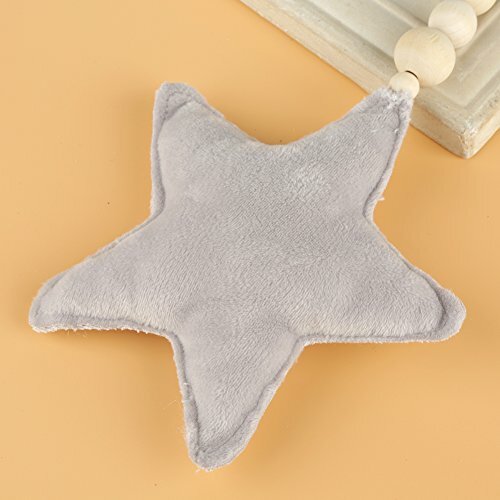 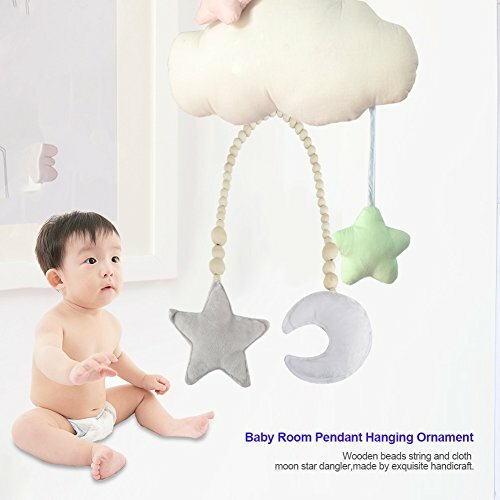 ★Easy to hang: It can be removed and hung anywhere,this crib star pendant prop will add the perfect touch of charm to your nursery, birthday or baby shower, etc. 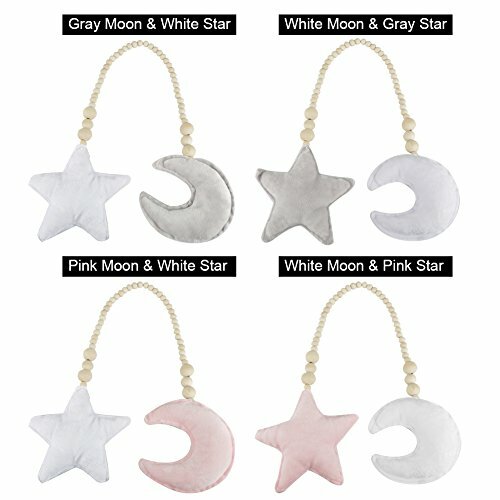 ★4 color mixes for option: Gray Moon & White Star / White Moon & Gray Star / Pink Moon & White Star / White Moon & Pink Star .